Georgie & Elaine is an emerging contemporary brand based in New York City. They sell only high quality clothes, made in New York and they represent an American luxury and modern romance. The founder, Devin VanderMaas tells a story of pure elegance, using natural and quality materials. 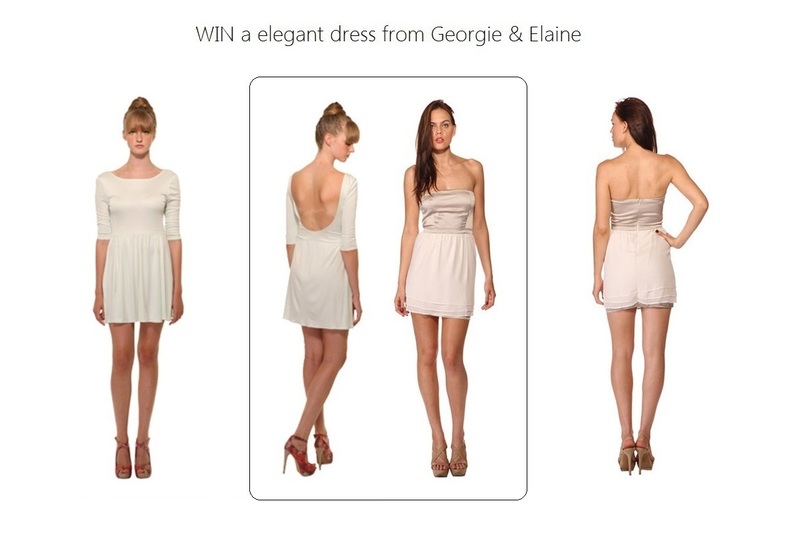 Elegance of Luxury is hosting a giveaway in collaboration with Georgie & Elaine brand, this is a sponsored post. The lucky winner could choose between 2 available dresses (Michelle silk knit dress and Elaine silk dress) worth up to $200 every. Both dresses are made from 100% silk. Be a part of this classy and stylish giveaway! This giveaway is open worldwide! Good luck! I shared this post on google+ on 6/15. My username is reidsrd@hotmail.com. I m new on your blog and very happy to follow you. Sorry for my late reply. Winner is announced on my Facebook page and she is Anna Huynh. Thank you and stay tuned because the next giveaway is coming soon!